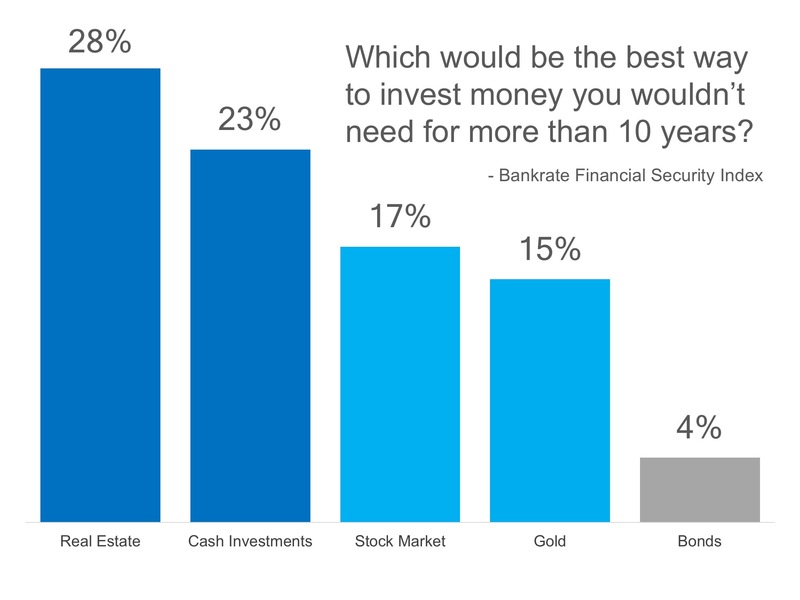 According to Bankrate’s latest Financial Security Index Poll, Americans who have money to set aside for the next 10 years would rather invest in real estate than any other type of investment. “After bottoming out at the end of 2011 following the worst housing collapse in generations, home prices have gone gangbusters recently, climbing back above their record pre-crisis levels. Prices jumped 6.6 percent during the 12 months that ended in May, according to CoreLogic. We have often written about the financial and non-financial reasons homeownership makes sense. It is nice to see that Americans still believe in homeownership as the best investment.